Sean Hannity, veteran Fox News host and apparent romantic, is not giving up on his dream of being the king of the conservative dating scene. 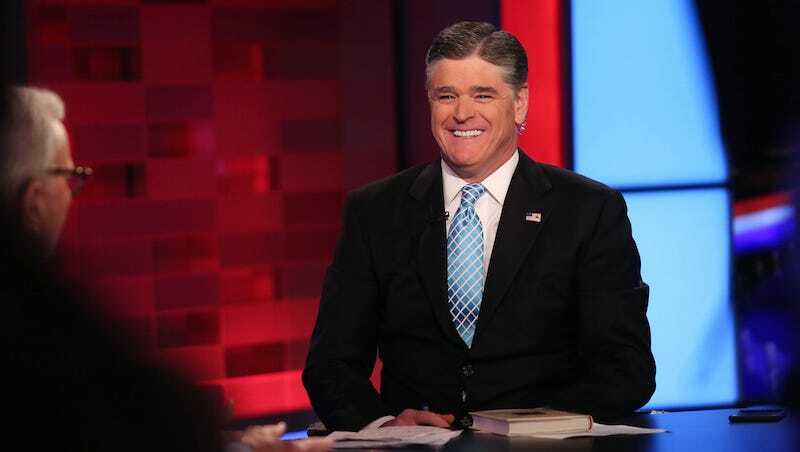 In a recent interview with the International Business Times, Hannity spoke about his now defunct dating website called Hannidate. That does seem ridiculous. But Hannity is not discouraged, and noted that he would consider starting the company anew in the era of Tinder. Wow, if encountering Hannity on the road is all it takes to get a ring on this finger, then change my voter registration; I’m going red!